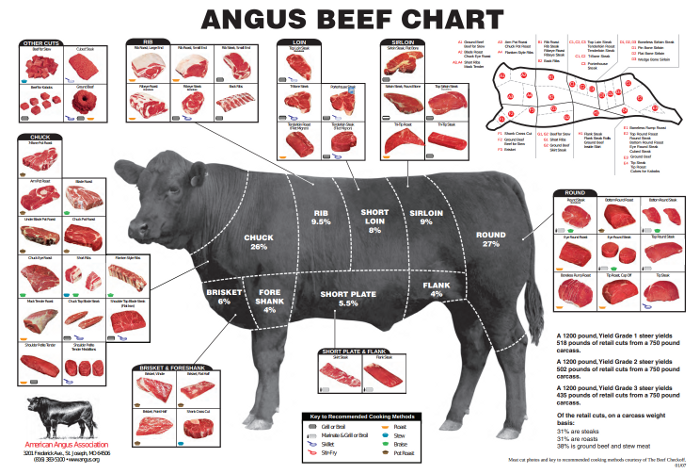 Here is a chart from the American Angus Association that helps show the various types of beef cuts available. When you order from us, our butcher will contact you for your specific cutting instructions, so you get your beef cut the way you want it. If you are not sure, of what cutting choices to make, call us for some beginner (or advanced) advice, we will be happy to help.